"This crust didn't turn out too bad for me. Wasn't as good as my mom's though. 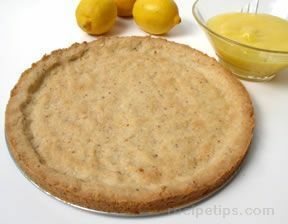 ... read full review"
Single crusts are often used for cream pies, some fruit pies and lemon pie. Stir together the flour and salt. Cut the shortening into the flour until you get small crumbles. Add cold water, l T. at a time, just until moistened. Form into a ball and roll out on lightly floured surface. 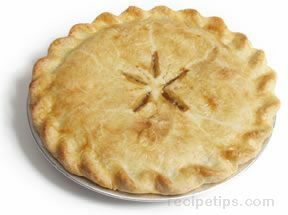 Place into pie plate. 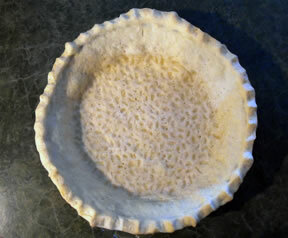 I take a cup of dry navy beans and pour into crust to keep crust from puffing up while baking. Bake 400Â° about 10-15 minutes or until lightly browned, checking after 10 minutes. Scoop beans out and crust is ready to go. "This crust didn't turn out too bad for me. Wasn't as good as my mom's though. 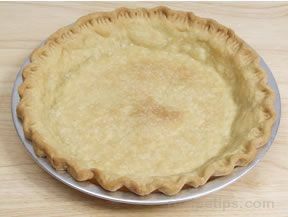 The navy beans worked good for keeping the crust from puffing up."